Dubai Zoo is located in the leafy suburb of Jumeirah in the United Arab Emirate of Dubai. As one of the most 'established' spaces in the area the trees here are more mature than any others around which give the area in which the collection is housed an oasislike feel. It is not the only zoo in Dubai but it is the only public general collection. 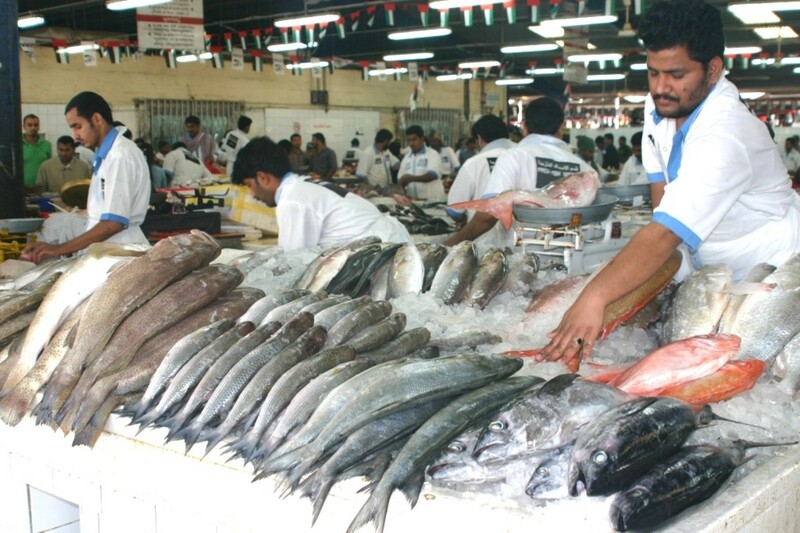 It is the responsibility of Dubai Municipality. The Dubai zoo has always been and remains a popular collection. There are a fair number of daily visitors and at weekends and holidays it can become very crowded. This in spite of criticism. Dubai Zoo reviews are not uncommon. Sadly, most of these are people who do not know the collection and have little or no knowledge of captive wildlife. The collection is open to the public every day except Tuesday for a nominal entrance fee. Animals within this tiny Dubai zoo collection include Gorilla, Giraffe, Arabian Wolves, Lions, Tigers and others. It is reputed to hold over 200 species. 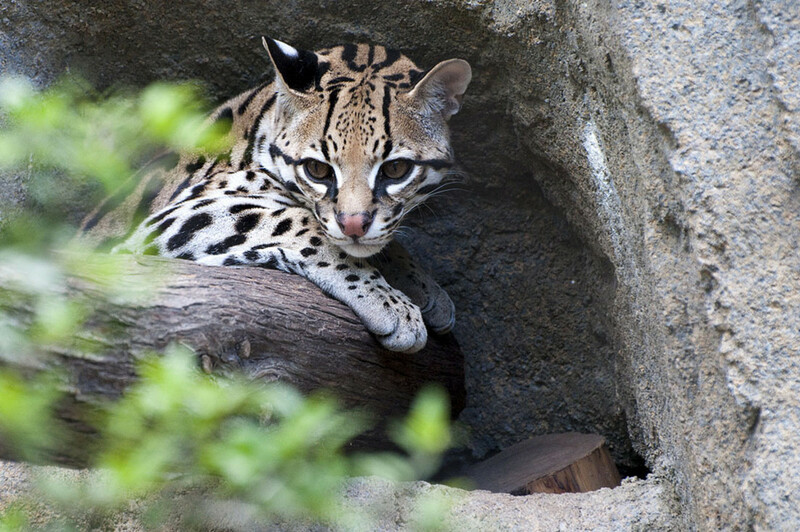 It has very little claim to fame but has bred many of the species it keeps including Arabian Wild Cat and Chimpanzee. 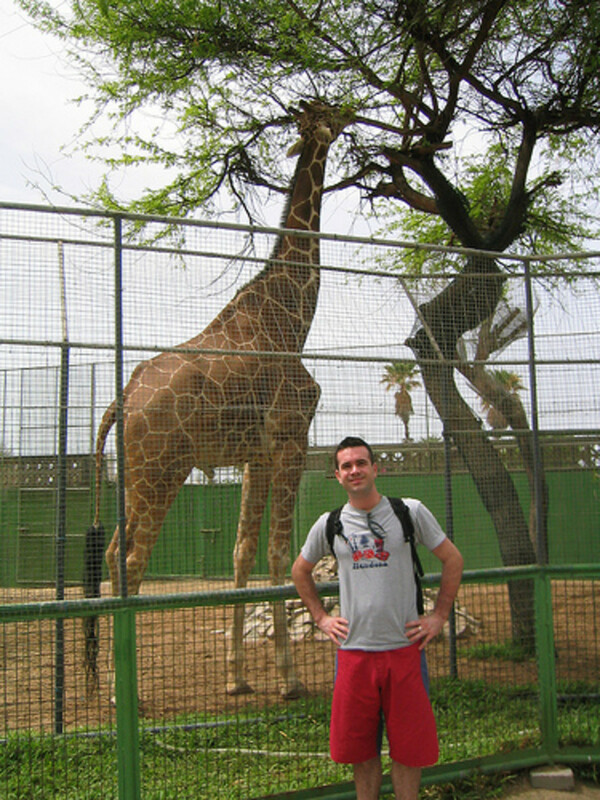 The Dubai Zoo started in the late 1960s as the private collection of an Austrian engineer who was working in Dubai. Otto J. Bulart built his zoo on a two hectare plot on what was at the time, a deserted piece of land on Jumeirah beach. Even in those early days the collection housed large cats, bears, chimpanzees and orangutans. Although there has been some rebuilding over the years the collection has in essence changed very little in appearance and, due to land availibility expanded hardly at all. Some of the archaic original buildings still exist. Although the Dubai zoo is undoubtedly the oldest zoo in the United Arab Emirates it is not, as some claim, the oldest zoo on the Arabian peninsula. There was an established public zoo in the State of Kuwait back in the 1950s. 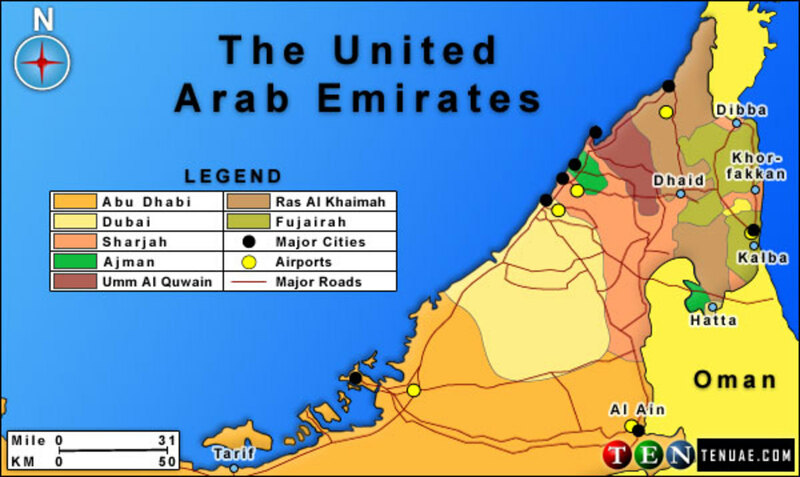 (Though I suppose some may judge Kuwait not to be on the peninsula). In 1971 Otto Bulart was approached by the former ruler of the emirate of Abu Dhabi, HH Shaikh Zayed who asked him to build a zoo in Al Ain. 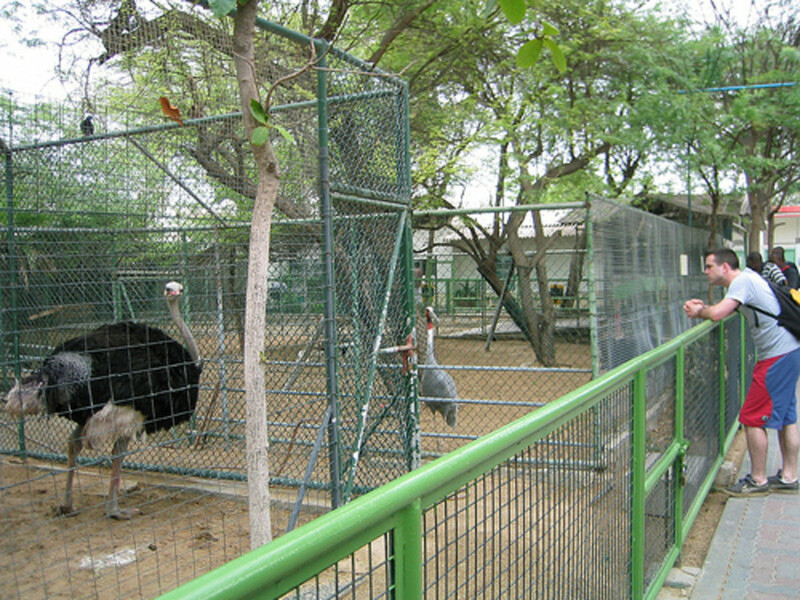 The Dubai Zoo was then taken over by Dubai Municipality and was run and managed by Horst Kauch and his wife Anne-Marie Kauch. In 2010 the management of the collection is the responsibility of Dr. Mohammed Ali Reza Khan who moved here from the Al Ain Zoo in 1989. Why Is The Zoo Still As It Was? Dubai Zoo has many critics. It is definitely way past its sell by date and is rather cramped. This feeling of abandonment is probably worsened when one sees the rest of Dubai with its buildings and facilities dripping in affluence. Why you may wonder has the zoo taken a back seat in the general redevelopment of Dubai. One has to appreciate that as the oldest zoo in the Emirates that Dubai Zoo holds a special place in the hearts and memories of every United Arab Emirates citizen born between 1967 and 1977. 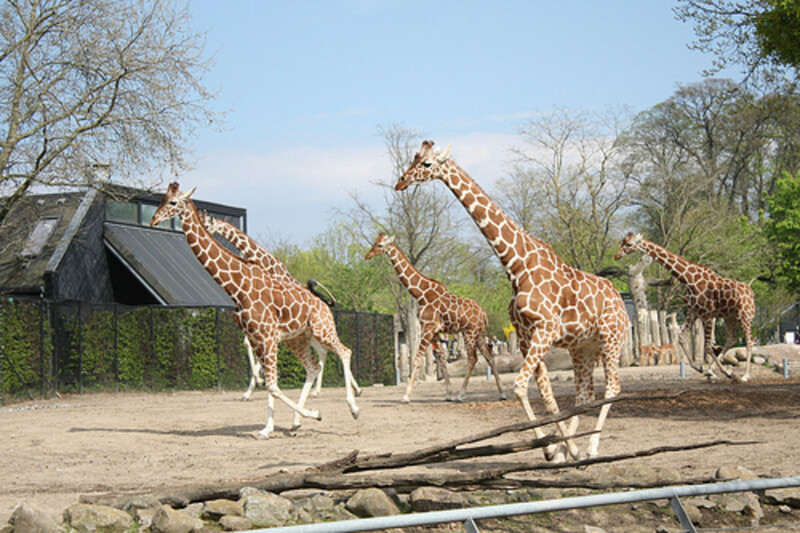 This was the zoo they visited as children. The place holds happy memories. They don't want it to change too much. 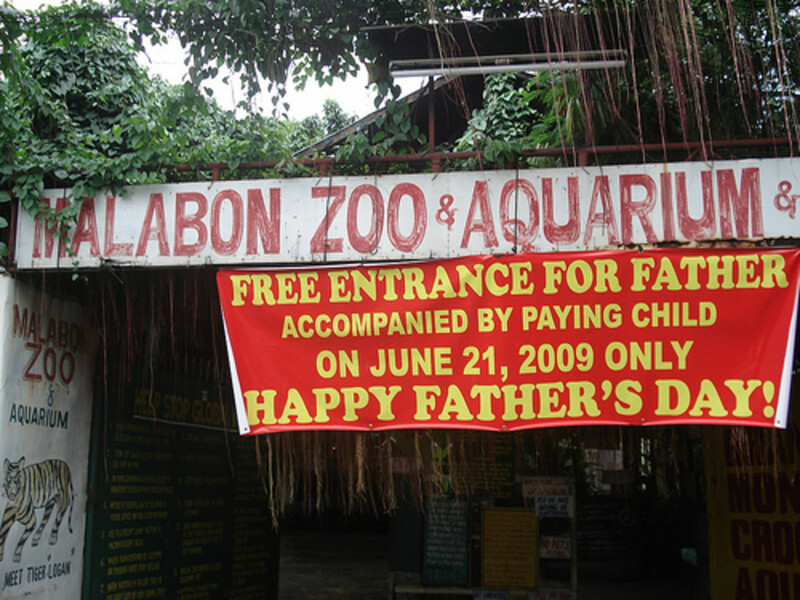 This is one of the zoos they take their children and grandchildren today. An attack on Dubai Zoo is taken as a personal affront by many. Not the sort of sensible approach to make to the people in authority today. The managers and rulers of the country. Dubai Zoo is too small. It is definitely in need of change and development but the zoo is not cruel. It always has been run and managed by people who care. Sometimes a little bit misguided perhaps...but people who genuinely care! There has never been animal abuse or cruelty. The diets have always been good. The place has always been clean. 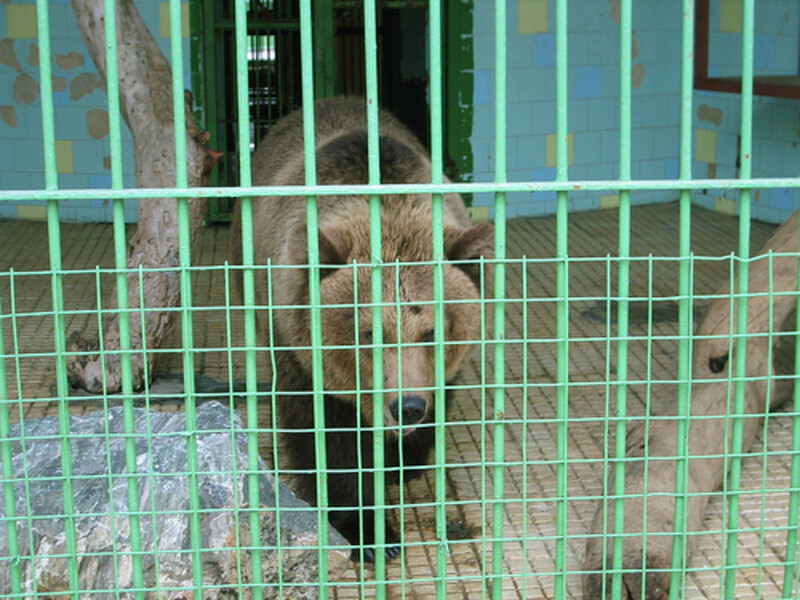 It has been utilised by schools, acts as a rescue centre, has a basic enrichment programme, educational signage and more. It is unfair to criticise those who manage and work within any zoo as to the available space as this is outside of their control. I don't believe that Dubai Zoo should be closed. I believe that it should always be there on Jumeirah beach. It should however be be redeveloped and changed and could learn much from the best zoo in the world which is just down the road apiece in the next door Emirate of Sharjah. Discussions and rediscussions over a new Dubai Zoo have been going on now since the 1980s and have still not come to anything. A new public zoo is definitely needed but I believe this leafy little collection should remain. Meanwhile the United Arab Emirates contain some of the most interesting private animal collections in the world. I was working in Dubai for a shortwhile before the property market crashed and I drove past Dubai zoo almost daily. It never interest me to go in and see what lies inside. Probably because the exterior facade looked gloomy and its small plot area gives the impression that it will be a waste of time. meteoboy - Thank you for reading. Always an extra if you want to get out of the Dubai Malls. Excellent job !!! I would like to visit this zoo . Thank you for sharing with us. Thanks Autumn Lynn. Sharjah remains the best all round zoo I have ever visited. They meet all the criteria. If they were better funded they could do wonders. Al Ain is missing the point about conservation sadly and has done some very naughty things of late which I conitinue to remind them about. The recue centre in Abu Dhabi also misses many of the major points but like the curates egg is 'good in parts'. I have visited several UAE private collections. There is some really amazing things the public never see. I even saw a herd of Giraffes in the desert in a place where no-one but the Sheikhs go. Dubai? Well I have said my honest piece and wrote really to reply to its critics to make them look twice at the situation there. I have been to the Dubai Zoo and you are right-not the best by a long shot.Thankfully the newer parks in the UAE are a vast improvement. You mentioned Sharjah and the Zoo in Al Ain is doing a major overhaul. There is a new Wildlife Rescue Center as well in Abu Dhabi. It is not open to the public but they encourage visitors by appointment and are getting lots of people involved by volunteering. Working in Zoos you know that educating people is the most important way to improve the treatment of animals. The Dubai Zoo is so tiny and they have no way to expand. I think that education has started in the UAE and people will begin to call for more change and better treatment for the animals there. JustColl - Thanks again. If you check through the postings on the Dubai Zoo Facebook group you will see that I too am a member there and have been for a few weeks. Photographs never lie they say....but they most definitely do. I could take photographs within the worst zoo in the world and make it look the best and equally vice versa. The photographs on the 'Friends of Dubai Zoo' site are taken either with extremely poor composure or straight out of the 'anti-zoo' handbook from the chapter on how to take zoo photos. Don't get me wrong...I am not offering a defence here but an honest observation. 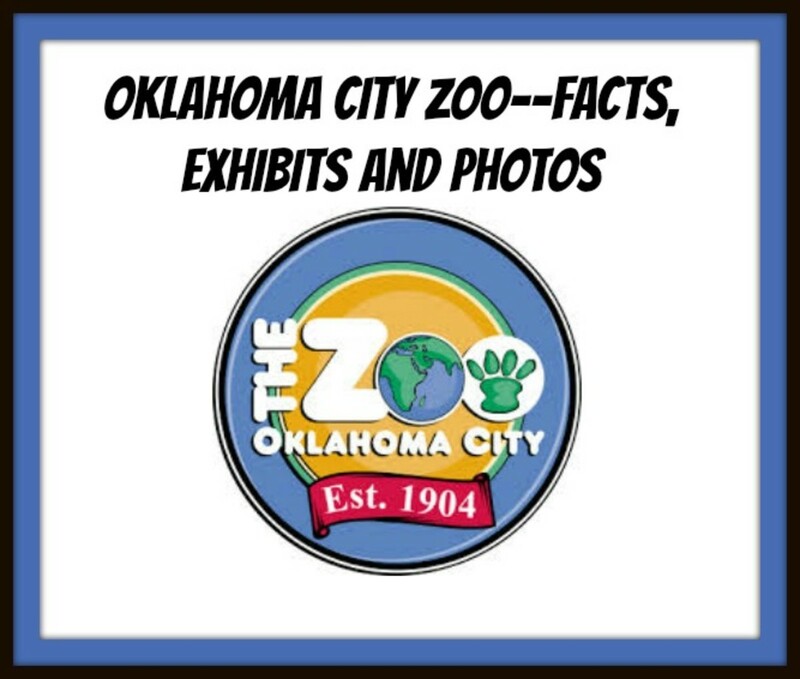 I hope you will read more of my hubs on zoos and take a look at my ZooNews Digest blog too. Thanks for that. Interestingly, as I said, I have joined a group on Facebook regarding the Dubai Zoo. Not sure how long ago you were there, but they posted photos and the animals are in a really poorly state, never mind the enclosures! About 75% of the animals are really sickly looking, in poor condition. And it is very sad that they are trapped and at the mercy of humans and their often careless attitudes. I wil try to keep an open mind though, since I do realise that there are most often "good intentions" behind the whole zoo concept. Keep on hubbing, I am loving the reading. Thank You JustColl. As a zoo professional I am 100% pro good zoo but 210% against bad zoos. I read all the arguments by the anti zoo lobby. Always learning and prepared to change my mind. Nothing I have heard, read or seen up to now has persuaded me that the closure of all zoos is a good idea. There are a lot of zoos I would like to close, even more I should like to improve but in general I believe good zoos do good and are run by people who care more about animals than many of the well meaning on the outside. Hi Peter, once again thanks for an interesting and informative article. I have just joined a group on Facebook who are petitioning to have this zoo closed down and hopefully we will be successful. 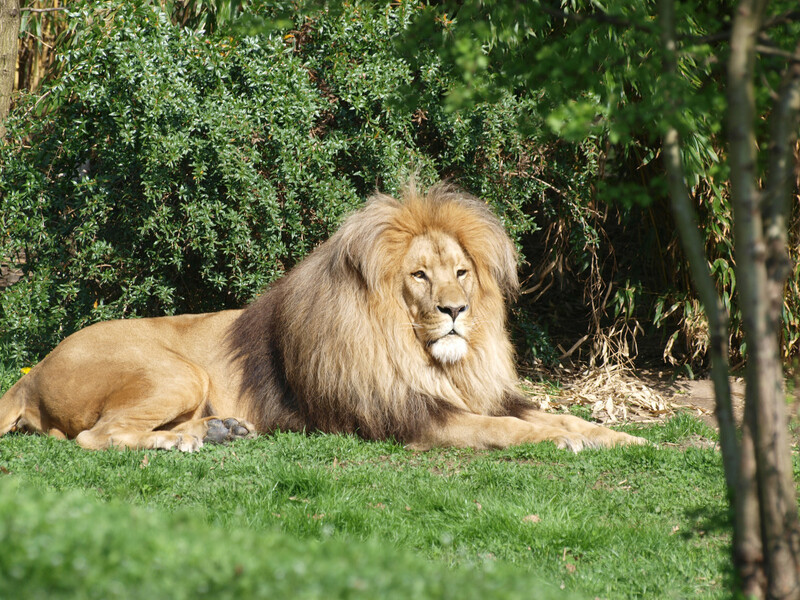 While it may not be considered cruel or a terrible place, I do not believe that any animal belongs in a zoo, even one which has been upgraded and refurbished. Sorry to say, but I am against the idea of zoos, despite that some may think that they do do "good work". There is often more compelling argument against than for in cases such as this. 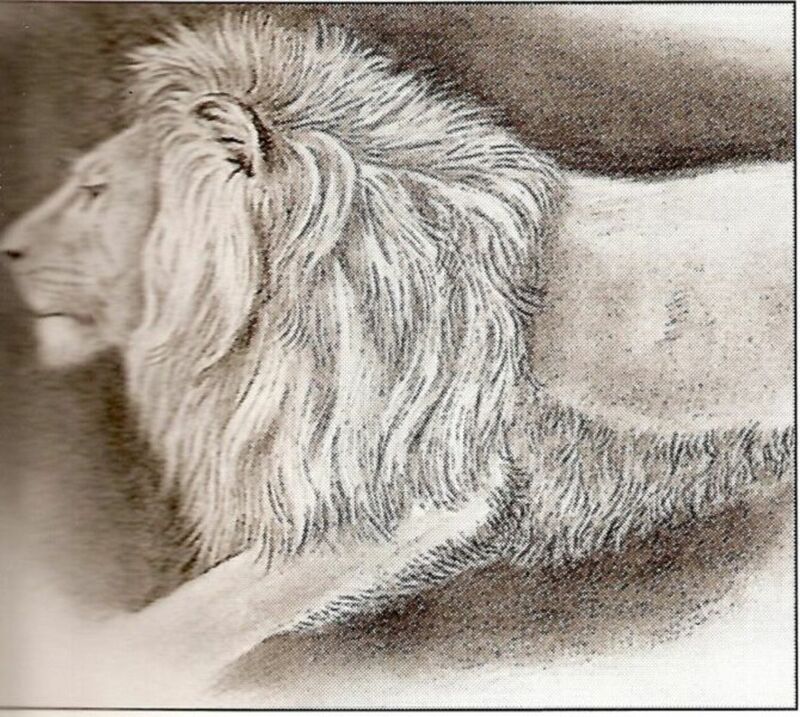 TattoGuy - Thanks for reading. 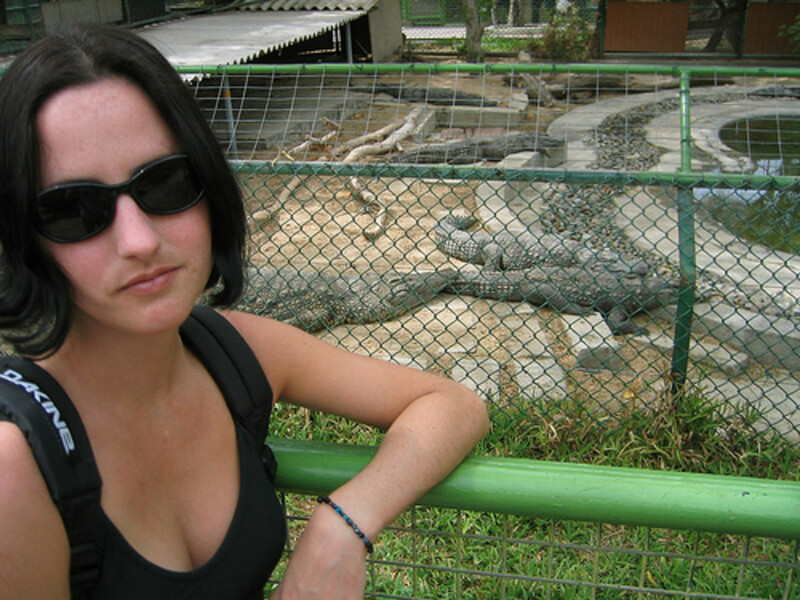 I like visiting zoos but I am not a fan of all...as you probably note when reading my hubs. I am a big Zoo fan, the Barcelona Zoo being my favourite, enjoyed this hub ! EllenGraeger - Thank you for reading. Austinstar - crazy idea but sadly not an impossible dream to those who can afford it. Too many animals in too many cages. Sad topic but very good information and video. Thank you, Peter. Polar Bears in Dubai? What will they think of next? Seems like a good place for all of the many reptiles of the world. I enjoyed this hub! thevoice- thank you for your comment. Neil Sperling - I suppose it is a matter of time...I believe Polar Bears have meen mentioned. Not a good idea.